Home › drugs › Counting Sheep for Insomnia – Do sheep count??? Counting Sheep for Insomnia – Do sheep count??? Neurim’s appeal against the refusal of the UK Patent Office to issue a Supplementary Protection Certificate for Circadin has been referred to the European Court of Justice –the CJEU by the Court of Appeal. Before a new drug is allowed to be used, regulatory approval is required. This typically takes several years and the drug usually reaches the market towards the end of the 20 years of regular patent protection. It will be appreciated that to bring a drug to market costs hundreds of millions of dollars and very few potential drugs obtain regulatory approval and can be prescribed. There is generally believed to be a market failure in the regular patent regime in that the period over which the patent enables the company that developed a drug to sell at monopolistic prices is considered insufficient to enable the drug developer to recoup their investment and make a reasonable profit. It is therefore argued that under the standard patent term, there is no incentive to develop and bring new drugs to market. Consequently, various countries that have drug development industries, or which are bullied by countries having drug development industries have adopted patent term extensions, or, as they are called in Europe, Supplementary Protection Certificates (SPCs) which effectively extend the patent for up to an additional 5 years beyond the regular patent protection period of 20 years from filing. There is, however, a catch. To prevent evergreening – extending patents indefinitely thereby preventing generic competition – such Supplementary Protection Certificates (SPCs) may only be obtained following the first regulatory approval. Neurim, an Israeli ethical drug company has developed a revolutionary and patented treatment for insomnia based on use of the natural hormone melatonin. 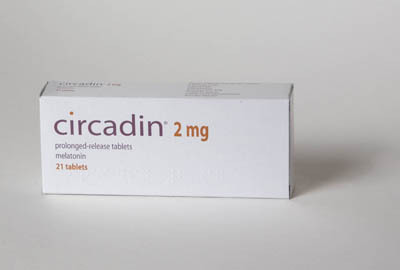 The drug, called Circadin, took 15 years to obtain regulatory approval from when their first patent application (European Patent Number EP (UK) No. 0 518 468) was filed on 23 April 1992. On obtaining regulatory marketing approval in June 2007, Neurim requested an SPC under Art. 3(d) of the SPC Regulation EEC 1768/92 (now EC 469/2009), claiming that this was the “first authorization to place the product on the market as a medicinal product”. However the British Intellectual Property Office (UK IPO) refused the request on the basis that Circadin was not the first marketing authorization for Melatonin, since another party had obtained approval for “Regulin”, a melatonin medicine for sheep, back in 2001, issued by the UK Veterinary Medicines Directorate under Directive 81/851/EEC. The decision was appealed to and upheld by the court of first instance, and was then appealed to the Court of Appeal who has referred the case to the CJEU. The Court of Appeal was required to interpret Art 3 of the SPC Regulation and determine whether a valid authorisation had been given for “the product” in question. The UKIPO argued that melatonin was “the product” and therefore authorisation had been given when it was approved for use in sheep. Neurim argued that sheep were irrelevant – an SPC is just that: protection supplementing the protection of the basic patent. Therefore, as each patent can have its own SPC (but only one), the relevant Marketing Approval for that patent is a marketing approval for a product falling within the scope of that patent. “We consider that Neurim’s arguments are not only tenable: in our view they are right. Many kinds of valuable pharmaceutical research will not get the encouragement or reward they deserve if they are not. Pharmaceutical research is not confined to looking for new active compounds. New formulations of old active substances are often sought. Most are unpatentable but from time to time a real invention is made and patented. Court of Appeal: Neurim Pharmaceuticals v The Comptroller-General of Patents  EWCA Civ 228. Neurim’s Circadin is the only ethical drug other than Teva’s Copaxone that has been developed and brought to market by an Israeli company. The patent in question, and the other patents in Neurim’s portfolio was drafted and prosecuted by my late partner, Dr Stanley Davis. JMB, Factor & Co. weren’t involved in requesting the SPC in the UK, but have been involved in a corresponding request to the Israel Patent Office. Under current Israel Law (pending an amendment), the extension available in Israel is for the shortest extension granted by a country offering patent term extensions. Consequently, the extension in Israel may be invalid due to the UK case. Strange things happen when prosecuting pharmaceutical patents. In Korea, a scientific paper relating to Melatonin in cod fish was cited against the corresponding application as rendering treatment by melatonin obvious. One would imagine that fish and humans have very different physiologies. By comparison, sheep and humans are somewhat similar, but Regulin is not a treatment for insomnia in sheep (I believe they count people to induce sleep). Apparently Regulin improves the reproductive performance of pure bred and crossbred lowland sheep which are to be mated early in the season before the usual peak of reproductive activity. Regulin is recommended for use in Suffolk and Suffolk cross type flocks to cause lambing to start between early December and mid January and in Mule and halfbred flocks to start lambing between late December and mid February.